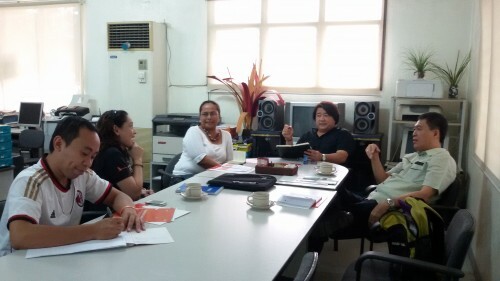 On December 4, 2015, Negros Oriental Chamber of Commerce and Industry (NOCCI) welcomed A-PAD Philippines in its office in Dumaguete for a discussion on disaster management initiatives in Negros Oriental. 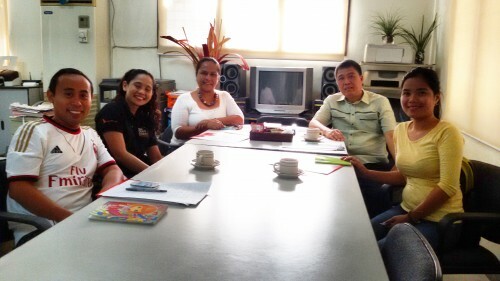 The Chamber’s President Mr Edward C. Du and the Manager of Negros Oriental Investment Promotion Center Mr Juan Augustine Jalandoni expressed their enthusiasm in strengthening NOCCI’s network and partnerships through alliances with government and non-government development partners. A-PAD Philippines, represented by its National Project Coordinator Athea Penaloza and Visayas Regional Coordinator Nile Dame Dano, introduced Asia Pacific Alliance for Disaster Management which develops a platform of collaboration among different sectors to address the issue of disaster preparedness and resiliency in the Philippines. Mr Du recognized the issue of disaster preparedness and response due to several calamities that struck Negros Oriental in the recent years. He intends to develop NOCCI’s initial plans for disaster preparedness. NOCCI, according to Mr Du, would be interested for a more collaborative undertakings with A-PAD Philippines. The NOCCI is composed of local entrepreneurs, establishments and associations doing business in Negros Oriental. NOCCI performs functions related to investment promotion and investment servicing, networking with various government agencies, and pursuing various advocacies, among others. NOCCI, has long been a partner of the Negros Oriental Investment Promotion Center and the Province of Negros Oriental in its efforts to spur economic development in the Province. Negros Oriental is a province in the Philippines located in the Negros Island, Visayas region. For the last five years, the province was struck by several calamities, including an earthquake and flashfloods, which caused massive damage and loss of properties and in the local economy.